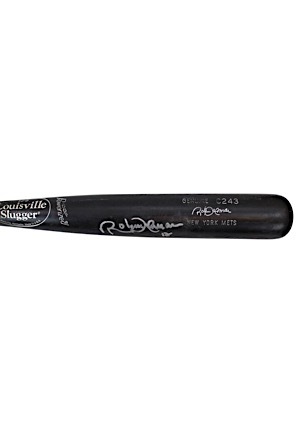 Manufacturer: Louisville Slugger Model Number: C243 Labeling Period: 2002 Length: 33.5 inches Weight: 32.4 ounces Wood: Maple Finish: Black. 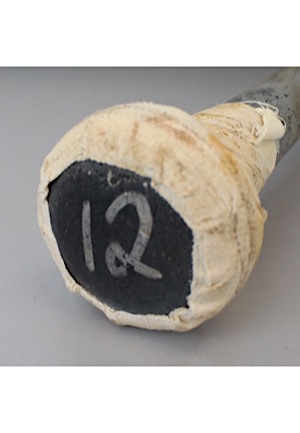 This bat shows evidence of heavy use with a handle crack and many ball marks and ball stitch impressions on the barrel. 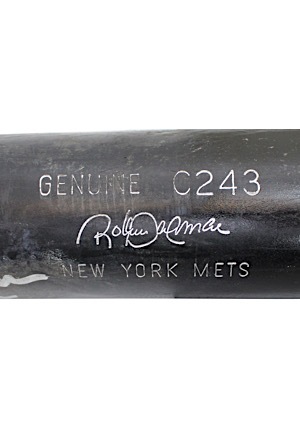 Alomar’s number “12” is written on the knob in silver marker. 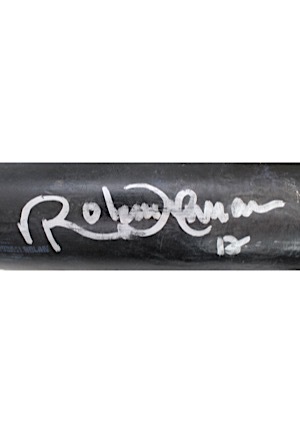 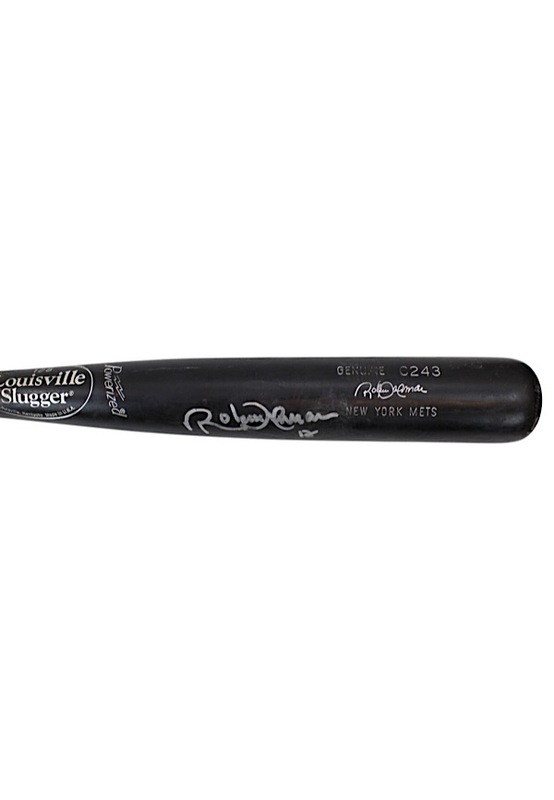 Alomar signed on the right barrel in silver marker and in our opinion the signature rates a 7. 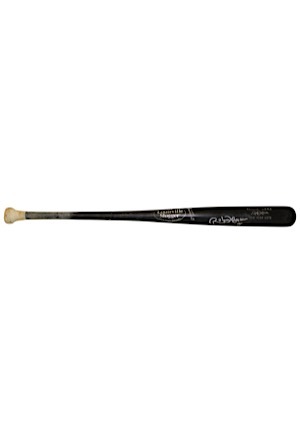 Accompanied by a LOA from JSA and a PSA/DNA LOA grading the bat a GU 9.